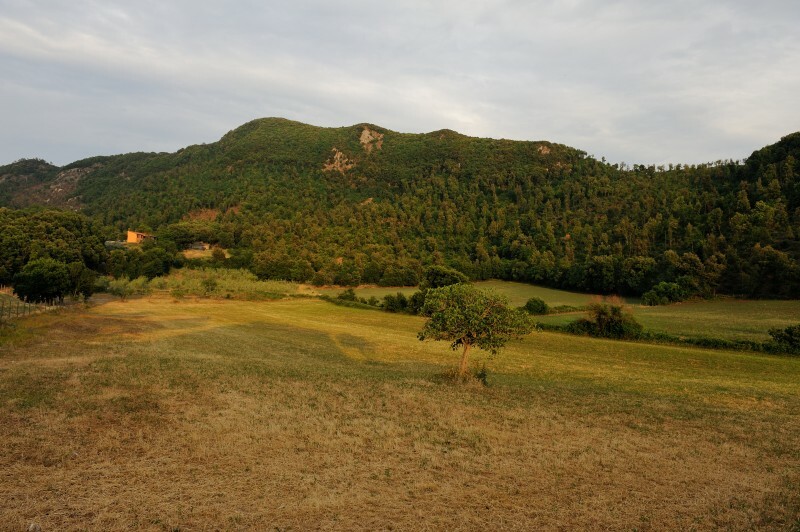 The village of Libbiano and the nature reserve Monterufoli - The Farm Landuccia, an unspoiled corner of Tuscany. Walking along the small wood of Holm oak, passing the stream that flows both in summer and winter, past the vineyard and the ruins of the old Landuccia about twenty minutes walk along the track between the Mediterranean bush and you will arrive at your destination. 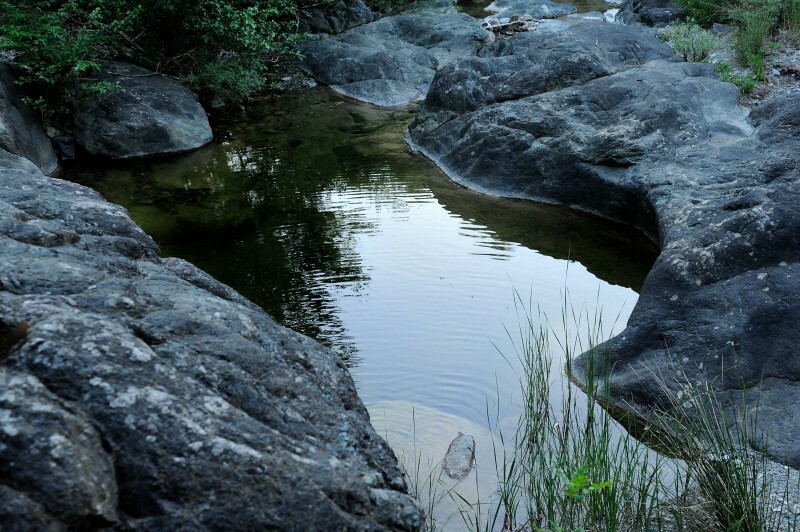 Immediately you will see the wildness of the small river, the marvellous light, the waterfall further down between the dark rocks and, if in summer, the deafening singing of the cicadas. The first impression is what counts, it’s a timeless place and you feel you want to spend the whole day there. 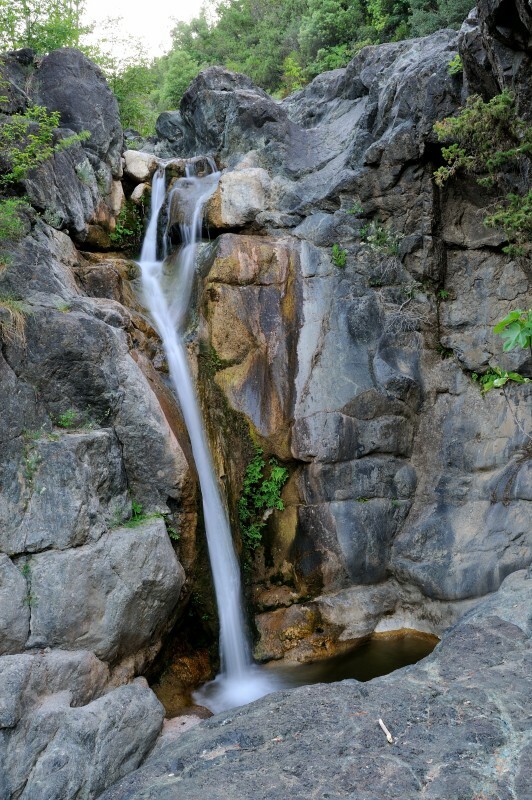 You can bathe in the clean water, right up under the waterfall, climb up onto the black rocks and enjoy the sun and discover the remains of old sulphur works open to the sky. 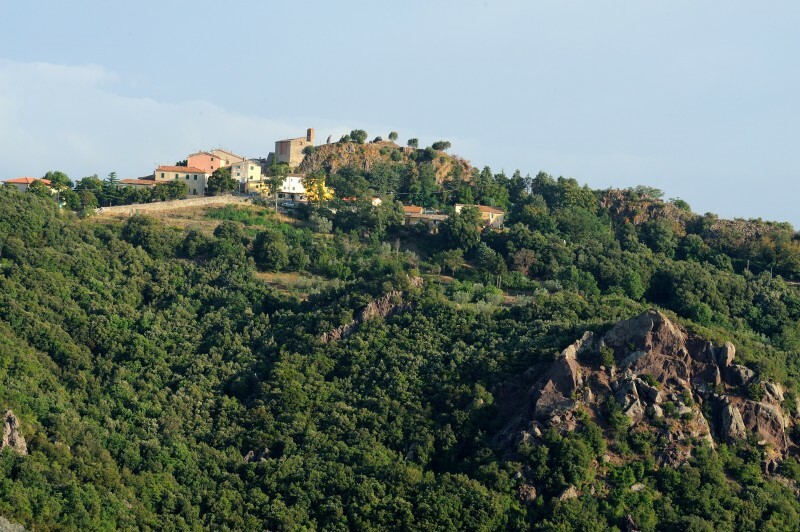 This small and evocative medieval village with antique Roman origins from which it takes its name in Latin Castrum Liviani is about a kilometre from the agriturismo and is easily reached on foot. From the top, where you can see the remains of an antique castle, you can admire the view, from the metalliferous hills to those of Siena, Pomarance, Volterra, Montecatini val di Cecina as far as the Apennine mountains in Pistoia and Garfagnana. Picturesque alleys lead you between the old houses some of which constructed during the medieval period using stone from the ancient fortifications, mysterious Tuscan history still to be uncovered, that can be read from the unique setting of those stones. 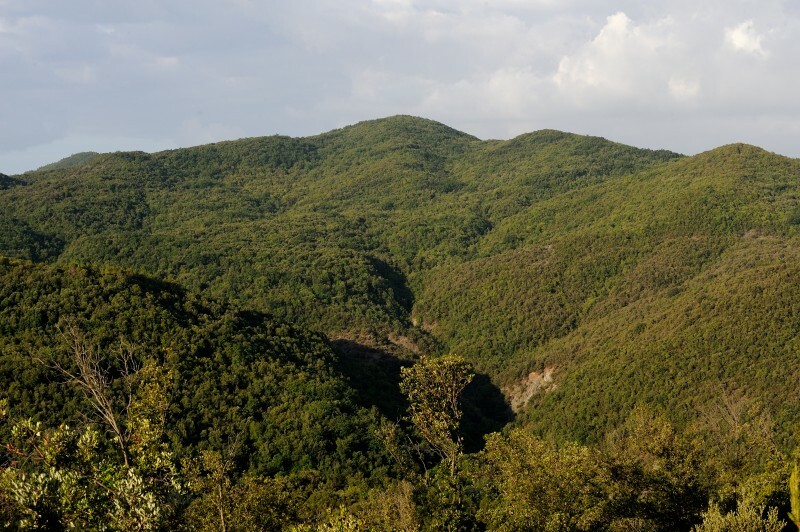 The forest that surrounds the agriturismo extends to the Monterufoli nature reserve, a green area founded by the region of Tuscany in 1995. 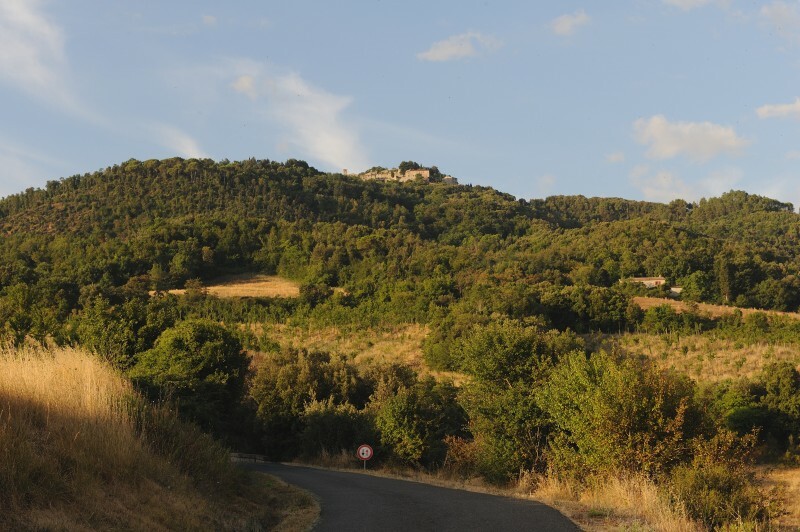 It extends over a vast area over what was once described as the Maremma of Volterra, in the province of Pisa. In the centre of the great harsh forest, about twenty kilometres from La Landuccia is the imposing Villa di Monterufoli, also called the Villa of a hundred rooms. Immersed in the unrestricted silence of spaces loaded with history, where nature reigns with her thick vegetation and wild animals, but where the remains of the farmers’ landscape are still visible, old farmhouses, roads, patches of fields, fountains. 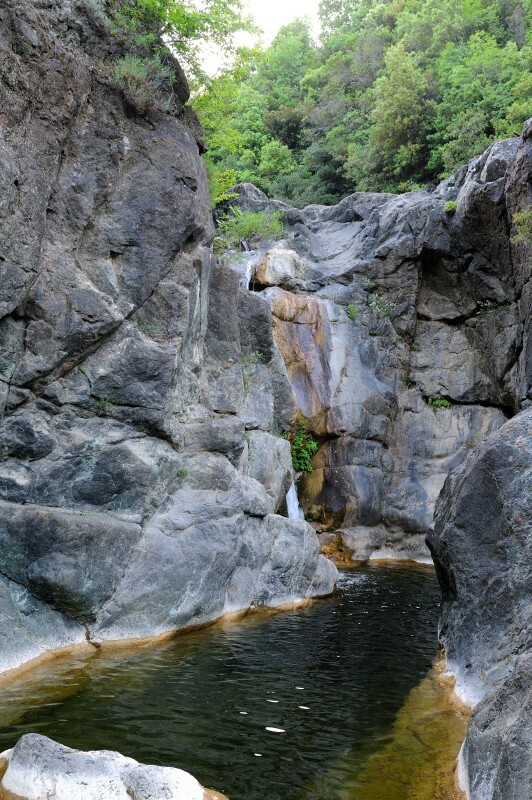 The territory of Monterufoli has had great importance since the times of the Etruscans, due particularly to mining, thanks to the geological structure of the rocks. With notable force throughout the nineteenth century and the beginning of the twentieth century there has been an intense extraction of copper, in particular chalcopyrite and cuprite. 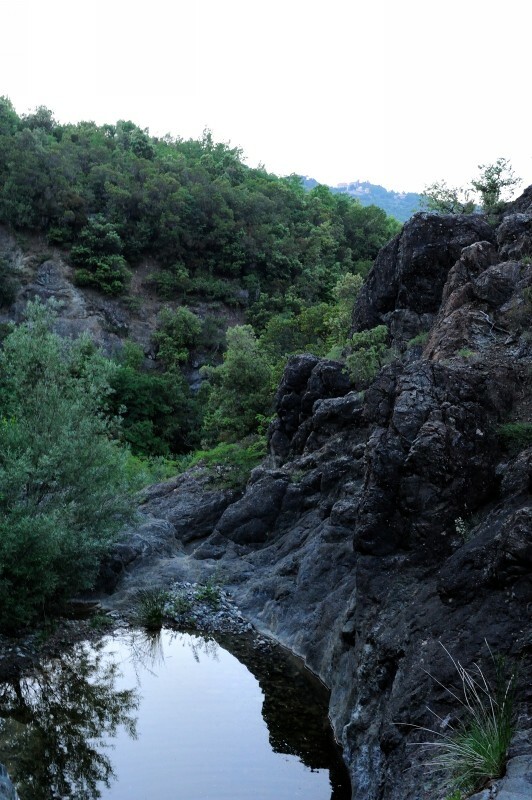 The remains of these mines have a certain archaeological – industrial interest (as yet not sufficiently developed), for example the mine along the Linari river which can be reached only on a suitable trekking route. The most fascinating exploitation of mining, a surface mine, was without doubt the chalcedony of Monterufoli much appreciated for its colours. The remains of these extractions are in the area near the Villa, the quarry of Monterufoli. The so called Chalcedony of Monterufoli has been used since the Renaissance by the skilled engravers in the making of mosaics and decorations in the so called art of commesso fiorentino. From the seventeenth century, given the importance of these stones, l’Opificio delle Pietre Dure di Firenze by request of Ferdinando I de Medici, took direct control of the monopoly of the extractions.